Bulimia nervosa refers to episodes of uncontrolled excessive eating, which are also termed ‘binges’. There is a preoccupation with food and a habitual adoption of certain behaviors that can be understood as the individual’s attempts to avoid the fattening effects of periodic binges. These behaviors include: self-induced vomiting, laxative abuse, and misuse of drugs – diuretics, thyroid extract or anorectics. Some may also exercise excessively or restrict their diet. People with bulimia often have low self-worth and judge their weight and body shape harshly. Some people with bulimia maintain a normal weight. When you have bulimia, you may regularly vomit or exercise excessively after binge eating. Sometimes, however, people with bulimia feel a need to purge after eating only a small snack or a normal-size meal. A binge is considered eating a larger amount of food than most people would eat under similar situations. For instance, when you have bulimia, you may eat an entire cake, rather than just a slice or two. And you may continue eating until you’re painfully full. Binges often occur in private. Once the binge episode ends, the purging begins. This may mean heading to the bathroom to vomit, hitting the treadmill for hours of exercise, or not eating for long periods of time (fasting). Because most people with bulimia are of normal weight or even slightly overweight, it may not be readily apparent to others that something is wrong. Purging bulimia. You regularly engage in self-induced vomiting or the misuse of laxatives, diuretics or enemas to compensate for binges. Nonpurging bulimia. You use other methods to rid yourself of calories and prevent weight gain, such as fasting or over exercising. If you have any bulimia symptoms, seek medical help as soon as possible. Bulimia usually doesn’t get better on its own. It may even get worse if left untreated and take over your life. If you have a primary care doctor, talk to him or her about your bulimia symptoms and feelings. Or seek help directly from a mental health provider. If you’re reluctant to seek treatment, try to work up the courage to confide in someone about what you’re going through, whether it’s a friend or loved one, a health care professional, a teacher, a faith leader, or someone else you trust. They can help you take the first steps to successful bulimia treatment. If you have a loved one you think may have symptoms of bulimia, have an open and honest discussion about your concerns. You may not be able to force someone to seek professional care, but you can offer encouragement and support. You can also help your loved one find a qualified doctor or mental health provider and make an appointment. You may even be able to go to an appointment with him or her. Repeatedly eating unusually large quantities of food in one sitting especially high-fat or sweet foods. Not wanting to eat in public or in front of others. Use of dietary supplements or herbal products for weight loss. The use of laxatives or diuretic medications. Biology. There may be genes that make some people more vulnerable to developing eating disorders. People with first-degree relatives — siblings or parents — with an eating disorder may be more likely to develop an eating disorder too, suggesting a possible genetic link. It’s also possible that a deficiency in the brain chemical serotonin may play a role in the development of bulimia. Behavior. Certain behaviors, such as dieting or over exercising, can contribute to the development of bulimia. For example, dieting is a primary factor in triggering binge eating. In addition, dieting helps encourage rigid rules about food, which when broken can lead to loss of control and overeating. Emotional health. People with eating disorders may have psychological and emotional problems that contribute to the disorder. They may have low self-esteem, perfectionism, impulsive behavior, anger management difficulties, family conflicts and troubled relationships, for instance. Society. The modern Western cultural environment often cultivates and reinforces a desire for thinness. Success and worth are often equated with being thin in popular culture. Peer pressure and what people see in the media may fuel this desire to be thin, particularly among young women. Age. Bulimia often begins in late adolescence or early adulthood. Bulimia is more common in college students than in younger teens. Family history. Eating disorders, such as bulimia, are more likely to occur in people who have parents or siblings who’ve had an eating disorder. Dieting. People who lose weight are often reinforced by positive comments from others and by their changing appearance. This may cause some people to take dieting too far, leading to bulimia. Family influences. People who feel less secure in their families, whose parents and siblings may be overly critical, or whose families tease them about their appearance are at higher risk of bulimia and other eating disorders. Sports, work and artistic activities. Athletes, actors and television personalities, dancers, and models are at higher risk of eating disorders, such as bulimia. Eating disorders are particularly common among ballerinas, gymnasts, runners and wrestlers. Coaches and parents may unwittingly contribute to eating disorders by encouraging young athletes to lose weight. Additionally, your doctor may also request an X-ray to check for broken bones, pneumonia or heart problems, and an electrocardiogram may be done to look for heart irregularities. These tests help doctors determine if you meet the criteria for bulimia or if you may have another eating disorder, such as anorexia or binge-eating disorder. To be diagnosed with bulimia, you must meet these criteria spelled out in the Diagnostic and Statistical Manual of Mental Disorders (DSM). The American Psychiatric Association publishes this manual. Repeated episodes of binge eating, including eating an abnormally large amount of food and feeling that you lack control over your eating. Repeated efforts to counteract your bingeing, such as self-induced vomiting, excessive exercise, fasting, or misuse of laxatives, diuretics, enemas or other medications. These behaviors generally occur at least twice a week for at least three months. Your feelings of self-worth are overly influenced by body shape and weight. You don’t have anorexia nervosa, another eating disorder characterized by extremely restrictive eating behaviors. Some people may not meet all of these criteria but still have an eating disorder. Don’t try to diagnose yourself — get professional help if you have any eating disorder symptoms. Treatment often helps patients improve their self-image and eating habits and prevent serious complications, which can include heart, teeth, and digestive problems, medication abuse and depression. Eating disorder care at IBBMed is guided by a team whose goal is to create a coordinated treatment plan, both inpatient and outpatient, for each patient. This team includes psychologists, psychiatrists, dietitians and other medical professionals, as necessary. Our integrated approach assists the patient in receiving full support during treatment and maintenance. Treatment at IBBMed includes a combination of psychotherapy, nutrition counseling, medical care, and medications when necessary. For more severe cases symptom management and counseling in an inpatient program, result in quick weight gains and improved health. Family-based therapy recognizes that patients who have an eating disorder are often in denial about their condition and are not making good choices regarding their health. The family’s assistance is needed to help restore the patient’s health. Most often changes in the family dynamic lead to major changes in the patient’s life. When you have bulimia, you may need several types of treatment, although combining psychotherapy with antidepressants may be the most effective for overcoming the disorder. Treatment is generally done using a team approach that includes you, your family, your primary care doctor or other medical provider, as well as mental health providers and dietitians experienced in treating eating disorders. You may have a case manager to coordinate all of your care. Psychotherapy is a general term for a way of treating bulimia by talking about your condition and related issues with a mental health provider. 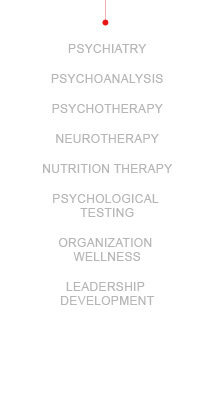 Psychotherapy is also known as therapy, talk therapy, counseling or psychosocial therapy. A type of talk therapy called cognitive behavioral therapy may help people with bulimia. This type of therapy is based on the idea that your own thoughts — not other people or situations — determine how you behave. Cognitive behavioral therapy helps you identify unhealthy, negative beliefs and behaviors and replace them with healthy, positive ones. An important negative belief that cognitive behavioral therapy addresses is the idea that restrictive eating can help you stay thin, when in fact, the reality is that fasting can often trigger binge eating. Family-based therapy can also be an effective treatment for children and adolescents with eating disorders. This type of therapy begins with the assumption that the person with the eating disorder is no longer capable of making sound decisions regarding his or her health and needs help from the family. An important part of family-based therapy is that the family is involved in making sure that healthy-eating patterns are followed and helping the person restores weight. This type of therapy can help resolve family conflicts and encourage support from concerned family members. Antidepressant medications may help reduce the symptoms of bulimia. The only antidepressant specifically approved by the Food and Drug Administration to treat bulimia is fluoxetine (Prozac), a type of selective serotonin reuptake inhibitor (SSRI). However, doctors can also prescribe other antidepressants or medications to treat your bulimia. Antidepressants or psychiatric medications can also help treat accompanying mental disorders, such as depression or anxiety. If you’re underweight due to bulimia, the first goal of treatment will be to start getting you back to a normal weight. No matter what your weight, dietitians and other health care providers can give you information about a healthy diet and help design an eating plan that can help you achieve a healthy weight and instill normal-eating habits. If you have binge-eating disorder, you may benefit from medically supervised weight-loss programs. Bulimia can usually be treated outside of the hospital. But if you have a severe form of bulimia and serious health complications, you may need treatment in a hospital. When needed, hospitalization may be on a medical or psychiatric ward. Specialized eating disorder clinics may offer intensive inpatient treatment, or eating disorder programs may offer day treatment, rather than full inpatient hospitalization. Like other eating disorders, bulimia can be difficult to overcome or manage. Although the majority of people with bulimia do recover, some find that bulimia symptoms don’t go away entirely. Periods of bingeing and purging may come and go through the years, depending on your life circumstances. In times of high stress, for instance, you may return to familiar, if unhealthy, eating behavior. If you find yourself back in the binge-purge cycle, “booster” sessions with your health care providers may help you weather the crisis before your eating disorder spirals out of control again. Learning positive ways to cope, creating healthy relationships and managing stress can help prevent a relapse.